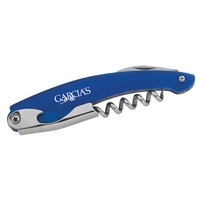 Our corkscrew and bottle opener with serrated knife is the perfect tool for your waiters and sommeliers in an exclusive restaurant or wine tasting establishment. Wine has to be opened the right way as doing it wrong can lead to the aroma and flavors getting spoiled. The bottle is generally covered with a foil that has to be properly removed first. 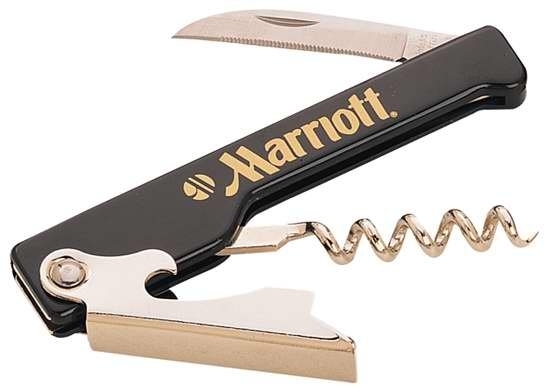 This should be one swell cut that leaves no jagged edges and no parts of the foil should remain near, around or on the cork. Then, the cork should be removed. 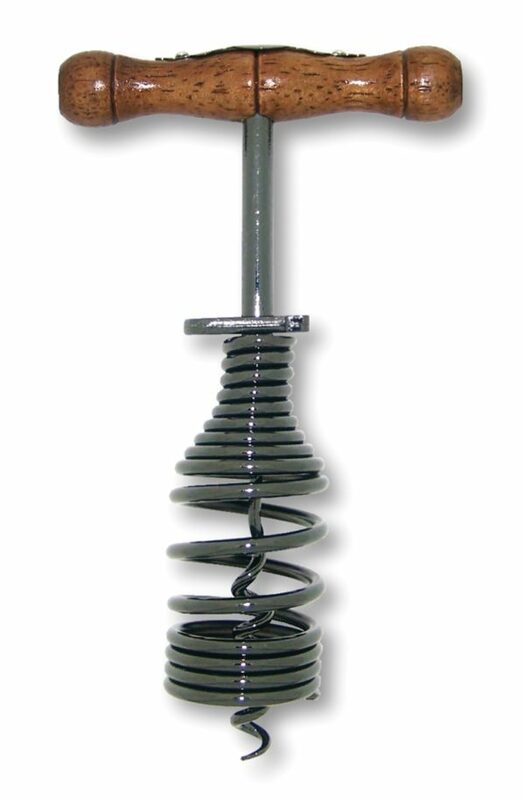 This means the corkscrew has to be screwed into the cork, which then has to be taken out without breaking at all. A lot of people believe "corked wine" is wine with pieces of cork in it. This is not true, but you cannot serve a drink anymore if it has floating pieces of cork in it either. 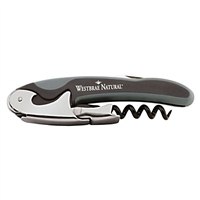 Our corkscrew and bottle opener with serrated knife will make opening a bottle of wine incredibly easy for your sommelier. 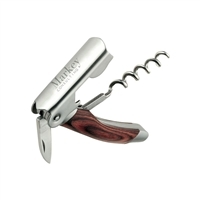 It comes with all the tools required to open a bottle of wine properly, including a useful lever that helps to take the cork out in one piece. Additionally, you can print your company's name or logo on the tool, which makes it a fantastic marketing tool. In a restaurant, it will enhance brand awareness and continuity. If you have a store, you could consider selling or giving it to your customers, so they create advertisement for you wherever they take it.